The Internet is not always a safe place, but there are several measures the average Facebook user can perform to tighten up security and keep the privacy they deserve. The first step towards ensuring unwanted eyes access your information is your password. Generally websites ask for a password over six characters long, but on top of this, using numbers and symbols to add another level of complexity is a very good idea. A useful website to check out is www.howsecureismypassword.net which will tell you how fast a single computer could crack your password (also telling you whether it is in the top 10,000 most used passwords). Changing your password regularly is also recommended, but if that's not possible for you, a longer and complicated password should help. Facebook, by default, doesn't particularly lock down on privacy. Many parts of your account may be open for anyone to view without you knowing such as pictures, information or your posts. 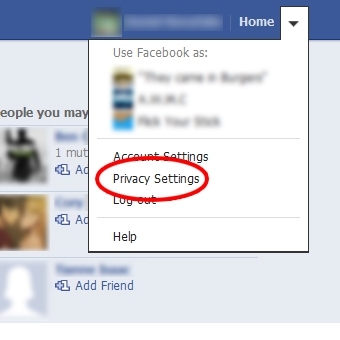 Within the privacy settings page you can change most of your settings to how you please. The first dialogue box that should show up is the "Control your default privacy" box. This is basically an all round check box to determine the default privacy settings for everything - with the options being: Friends of friends, Friends or Custom. Inside custom you can control options for people that have been tagged in your posts and any individuals you wish to not view your posts. 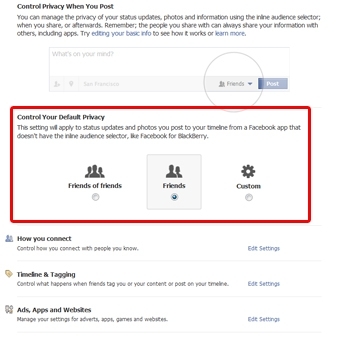 Inside the "manage blocking" page you will have the option to enter a person's email or choose them on Facebook. This will make a little dot point list beneath with a list of people you have blocked. 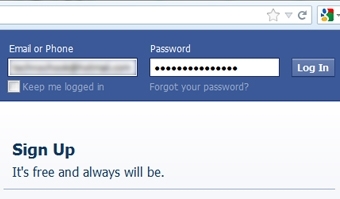 Facebook has several options for account security in a complete other section, these options are more about your passwords and devices, letting you track where you have logged in from in the case some place odd shows up. by navigating to "Account settings" and then selecting "Security" you will find these options (as illustrated below). This page also gives you the ability to deactivate your account if you choose to do so. 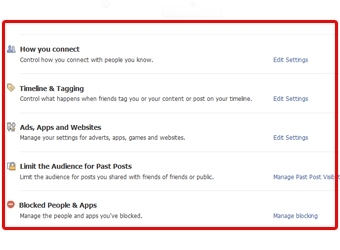 Although these options are found under the privacy settings, if you find yourself in the need to make a one off status that only you and the people you have chosen as your "close friends" or a custom selection of friends can see, the post privacy settings can be found on the status update box. After following this guide your account should be as locked up (or as open) as you'd like! No more comments from people you've never heard of and a much reduced threat of being hacked.